Hi friends and customers, thanks for checking out our first Toy-Lex Auto blog post and Myth Busters Monday! Our first myth to bust comes from one of our great customers, Shawn Frame. Shawn wants to know when can you tell that it’s time to change your windsheild wipers and is it true certain brands are better than others? First off, thanks for the great question Shawn! For starters, you should replace wiper blades when they begin to show signs of wear like cracked rubber, skipping, or leaving streaks on the windshield. Wiper blades can typically last 6 months to a year, depending on wear, how often they are used, and weather conditions such as ice. In Florida, the sun and frequent use in rain cause the most wear. If your wipers are skipping or streaky, try cleaning them before replacing. 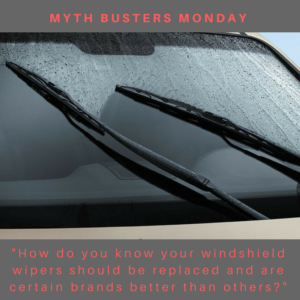 They may not have much wear yet and dirty wiper blades can work just like new after cleaning them with denatured alcohol or wiper fluid to remove built up dirt. Also, don’t forget to clean the area at the bottom of your windshield where wipers rest as dirt and leaves can easily collect there. If they’re still not performing, it’s time to replace. As for whether certain brands are better than others, we’ll have to give this one a half true. Consumer Reports actually found there isn’t much difference between cheap and expensive wiper blades. So much so, they don’t conduct brand comparison tests anymore! Cheap and expensive wiper blades have very similar quality and performance up to about 6 months after installation. Expensive wiper blades still wear after months of use so it can end up being cheaper in the long run to replace less expensive wiper blades often. Owner Rusty Escandell agrees and has been using cheaper wiper blades on his own vehicles for years, replacing them often for good performance. Remember, windshield wipers are a very important safety feature on your vehicle, especially in rainy Florida! 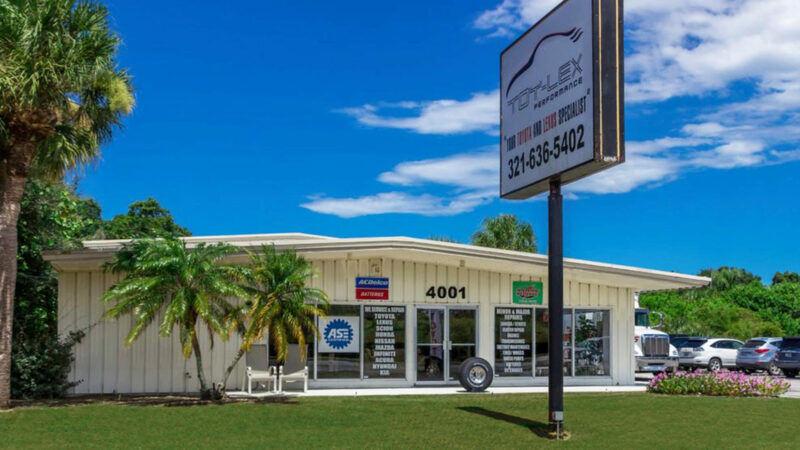 If you’re unsure whether your wipers blades need replacing or have found cleaning them wasn’t enough, stop by Toy-Lex Auto and let our experienced technicians help you. Toy-Lex conveniently keeps affordable windshield wipers in most sizes in stock every day. Comment, email, or message us more car care questions or myths to bust!